8 position thigh pad easily adjusts to accommodate a wide range of users. 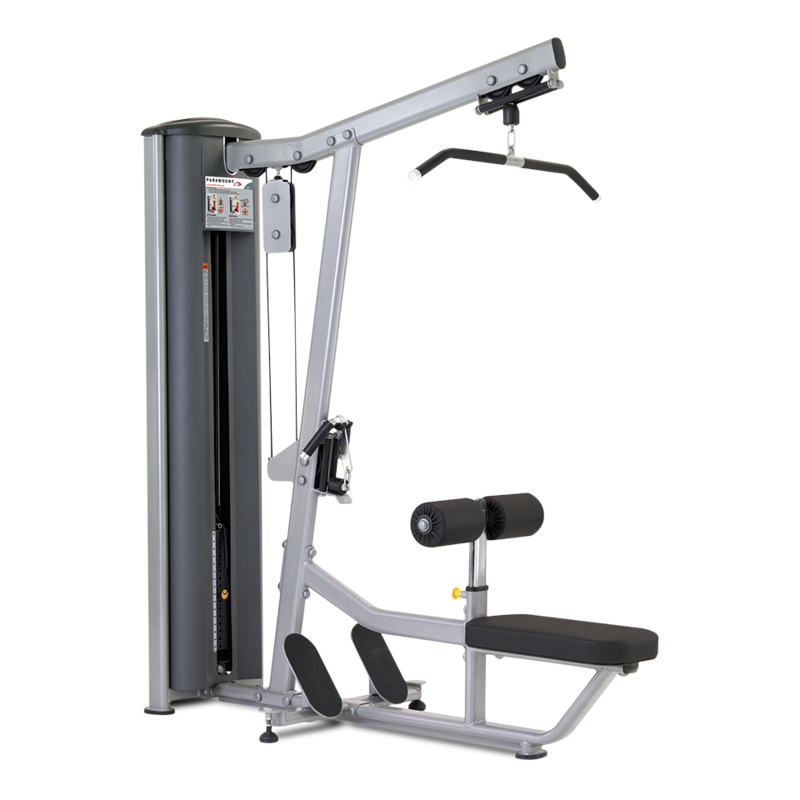 Dual foot platforms provide support and encourage proper alignment during seated row movement. Rubber coated lat bar and row handle for comfort.